Spacious character detached lodge with parking & gardens in rural location. Hallway, living room, separate dining room, kitchen diner with Aga, & utility shower room. Upstairs 3 bedrooms & a bathroom. Gas central heating. PVC double glazing. Outside parking to the side & gardens. Spacious 4 bedroom detached house of c. 1396 sq ft (129. 7 sq m) in village location. 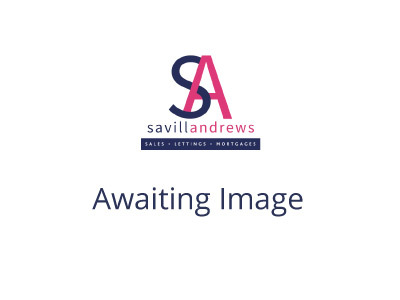 Hallway, cloakroom, large living room, good sized dining room, smart fitted kitchen in light wood with separate utility room off, 4 good sized bedrooms, en suite shower room and family bathroom. Spacious 4 bedroom character stone cottage with garage & large garden in the heart of this pretty Devon village! Hallway, living room, dining room, bathroom, and family kitchen. Upstairs 4 good sized bedrooms. PVC double glazing. Oil central heating. Garage with parking space. Flexible terms up to 6 months! Hallway with cloakroom off, living room with open fire, smartly fitted kitchen diner, and upstairs 3 bedrooms, bathroom and en suite cloakroom to the master bedroom. The cottage has oil central heating and is fully double glazed. A beautiful 3 bedroom semi-detached family home presented in superb decorative order throughout, offering extended living accommodation comprising sitting room, dining room, kitchen, cloakroom, beautifully fitted family bathroom. Parking and enclosed garden. NO DDS OR PETS. Beautifully presented detached three bedroom bungalow. This property offers; Entrance porch, Hallway leading to all rooms, Living room, Dining room, Kitchen, Two double bedrooms, One single bedroom, Conservatory, Bathroom and Garage. uPVC double glazing and gas central heating. Fabulous 4 bedroom house for long term let. Living room, dining room, study or play room, kitchen diner, utility & cloakroom combined. Upstairs are four good sized bedrooms as well as the family bathroom. Gas central heating. PVC double glazing. Gardens. Spacious detached bungalow with garage and large gardens available long term. The accommodation is spacious and offers hallway, living room with patio doors to the garden, good sized kitchen diner, three double bedrooms, & bathroom. Oil central heating & double glazing. Four Bedroom semi-detached family home with garden and parking. This property offers, Entrance hall, Kitchen with breakfast bar, living room, shower room, three double bedrooms and one single. Garden to the rear with side access. Street parking at the front of the property. 3 bedroom link detached house of c. 1035 sq ft (96. 1 sq m) offering living room, kitchen, 3 bedrooms, bathroom, & cloakroom. Gas central heating. PVC double glazing. Garage to the side. Driveway parking to the front. Gardens front & rear. A great sized family home! Good sized 3 bedroom house with garage and garden available on long term let. Living & dining room, kitchen, & cloakroom. Upstairs 3 bedrooms and bathroom. Gas central heating. PVC double glazing. Garage, parking, & gardens.